Welcome back to the Oppositelock Cool Wall! 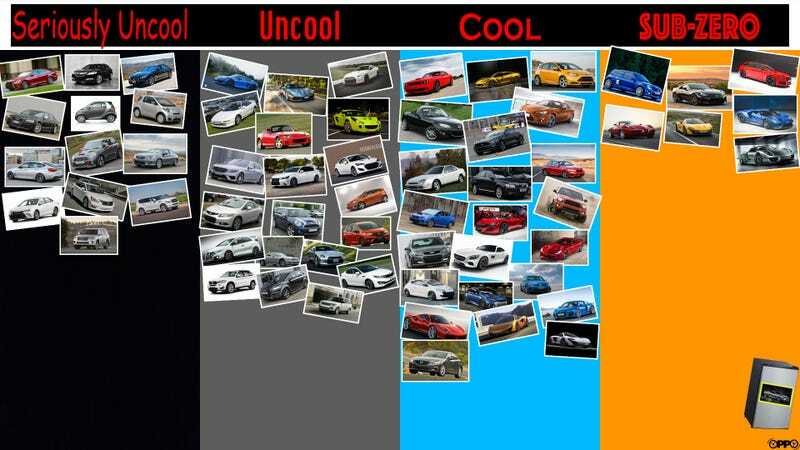 In this bi-weekly series, we take a look at five cars and vote for their position on the cool wall. This series mimics the now-defunct Top Gear Cool Wall. The two SUV’s that got seriously uncool were the Lexus and the Infiniti. The rest were just uncool. But let be bring something up: THREE people actually thought the Infiniti was sub-zero. THREE!!! THREE!!! What is wrong with you rubes? Okay Oppo: seriously uncool, uncool, cool, or sub-zero?